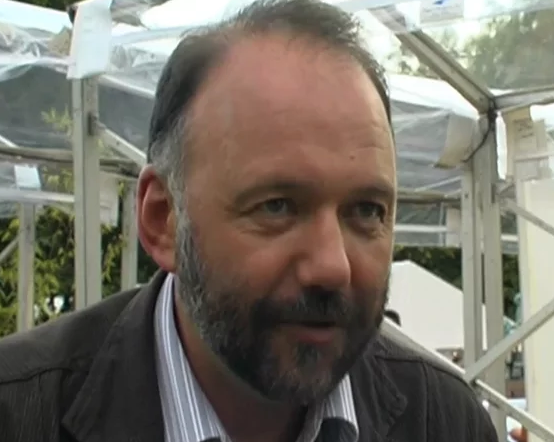 Raj Chakraborty interviews author Andrey Kurkov about his work, what inspires him, and the presence of amoral characters in his books, at the 2005 Edinburgh International Book Festival. Andrey Kurkov is a Ukrainian novelist and commentator, writing for several international publications. He has written 13 novels, including the bestselling Death and the Penguin, and 5 books for children. His work is currently translated into 25 languages, including English, Japanese, French, German, Italian, Chinese, Swedish and Hebrew. Kurkov has recently published a series of diaries documenting the Ukrainian revolution, providing a snapshot into the ordinary and extraordinary goings-on of a country struggling with massive upheaval.